The two principal factors in the onset, progression, and recurrence of disease are the physical and the psychosocial factors. The physical factors have been the main focus of modern medicine. The psychosocial factors are not directly addressed by medicine, yet their influence on disease cannot be ignored. Research has now over a century of studies showing how psychosocial factors may cause the onset and progression of such diseases as heart disease, rheumatoid arthritis, lupus, and multiple sclerosis.are responding to our psyche. Psychosocial factors include repressed and unresolved past emotions, trauma, beliefs, behaviors, unhealthy family dynamics, and relationship styles. Why has Western Medicine excluded this key component in the healing process? Why this split between disease and mental states? All psychosocial factors were removed from the equation of cause of disease by a philosophical split in the 1600’s. This split, called dualism, continued to widen until it eliminated the psyche entirely from anything happening in the body by materialism (read more on this philosophical split here). This split has been attributed to Descartes. It had been brought on by the need to separate mind and soul from the body and physics to avoid the wrath of religion on the progression of science and medicine at the time. In the 17th century was a century of great discoveries. Medicine was striving to change the religious authorities attitudes regarding dissecting human cadavers so they could advance their knowledge of the body. There was a religious uproar with the publication of Copernicus’s book “On the Revolutions of the Celestial Spheres” concerning the Earth’s orbit of the sun. 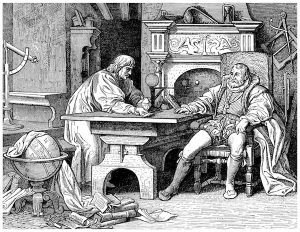 To the extent that Galileo was being threatened with death if he did not swear to the church that he did not believe Copernicus’s theories. The split continued to widen, and in the 19th century, materialism removed the mind completely from science. According to Materialism, everything that happens follows from the laws of physics and physics only and that the mind is merely a by-product of the physical and has no influence back on it. The return of the mind back into science and into medicine has been slow and continues to struggle to be included. Belief is a hard thing to change. 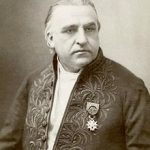 French neurologist Jean-Martin Charcot, in 1868, gave the first full clinical description of multiple sclerosis and the idea that psychological stress increases the risk of MS.
Research has found that the mind, stress, emotions, and personality, does influence the body and health. This influence is known in research as psychosocial factors. Reseach has shown this relationship not only exists but, possibly, could be determinant in the onset and exacerbation of the disease. “…emotional stress in the involvement with a parent, a lack of psychological independence, an overwhelming need for love and affection, and the inability to feel or express anger are possible factors in the natural development of the disease.” “The Role of Psychological Process in a Somatic Disorder: Multiple Sclerosis,” Psychosom Med. 1970 Jan-Feb;32(1):67-86. 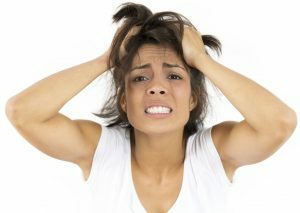 “Patients burdened by qualitatively extreme stress, such as major relationship difficulties or financial insecurity are almost four times as likely to suffer exacerbation.” “Stress and Its Relationship to Acute Exacerbations in Multiple Sclerosis,” G. M. Franklin, Journal of Neurological Rehabilitation, 1970. The Journal of Neurology, Neurosurgery and Psychiatry published several studies finding that the number of severe events and marked life difficulties proceeding onset or exacerbation of MS was ten times more common and marital conflicts five times more frequent. 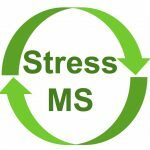 “People with MS have more unwanted stress or traumatic events between 6 months and two years before onset. Additionally, those with MS have between 2 to 3.4 times more childhood trauma than the general population.” The Influence of Stress on Psychosocial Factors in Multiple Sclerosis: A Review (2013) The study recommends completing pharmacological treatment with psycho-social therapies that teach coping strategies and provides social support. Research has proven that addressing these factors can improve symptoms. In the paper, Symptom changes in multiple sclerosis following psychological interventions: a systematic review, a systemic review of available literature, concluded that there is strong indication that psychological interventions could improve the quality of life of people with MS, both psychologically and in reducing symptoms. “Biological Outcome Measurements for Behavioral Interventions in Multiple Sclerosis,” also saw the potential of effecting biology through behavioral interventions. 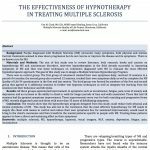 The pilot study, “Efficacy of Hypnosis-based Treatment in Amyotrophic Lateral Sclerosis (ALS): A Pilot Study,” has found positive effects from hypnosis-based intervention on psychological and perceived physical well-being. Research has shown symptom improvement by addressing the psychosocial factors behind the disease. The mind does influence the physical body. MINDbasedHealing’s mission is to lead in the development and application of mind-based practices, with a focus on hypnotherapy and neuro-linguistic programming (NLP), to effectively treat the psychosocial factors determinant in the onset, exacerbation, and recurrence of chronic disease with the goal of restoring health.